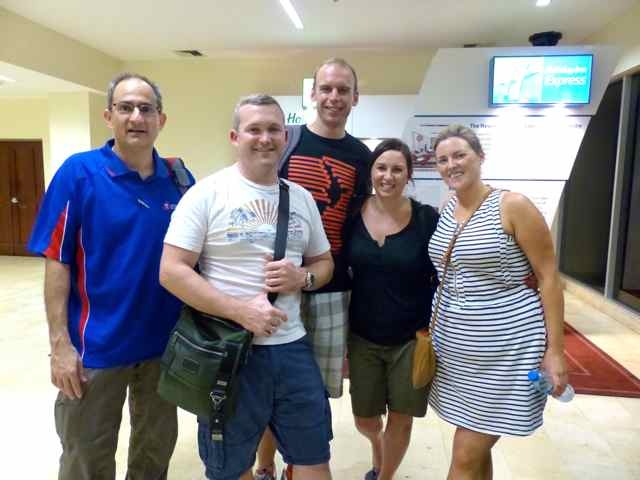 Our anaesthetics team is the first group to facilitate our patients. We have three anaesthetic nurses with us: Peter, Paulette and Lisa (aka Lik Lik or little boss in Pigeon English) and three theatre anaesthetists Jordan, Neil and Chris. 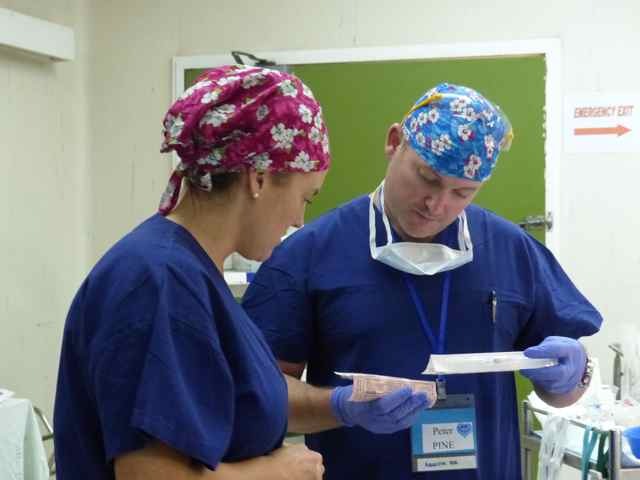 Their jobs are to ensure the patients are fit to receive anaesthesia, prepare them for surgery, put them to sleep and monitor their vital signs during surgery. Our nurses have the responsibilities of preparing all the equipment and patient lines, including the drip, anaesthetics machine and airway equipment. Our anaesthetists are responsible for putting the drip and central lines in, intubating the patient and administrating any drugs to the patient that are required during surgery. These procedures are primarily done in the anaesthetic bay after the patient has been brought up from pre-op and before the patients are taken into the operating theatre for surgery. 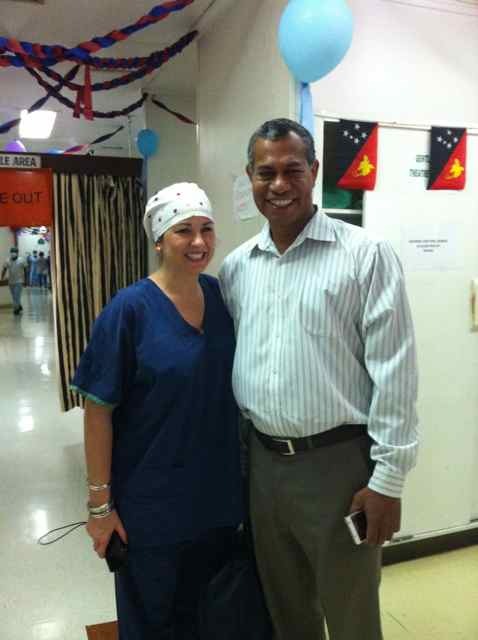 Paulette, our new anaesthetic nurse feels her trip to PNG with OHI is important because she can use the skills she learnt in Australia in a very privileged hospital and take those skills in an area of great need. Seeing the many patients whose lives are saved from both our time here and our legacy we leave here is the greatest reward we could hope for. Our anaesthetic team is working with the two local cardiac anaesthetists Arvin and Duncan, trying to assist in educating them further. 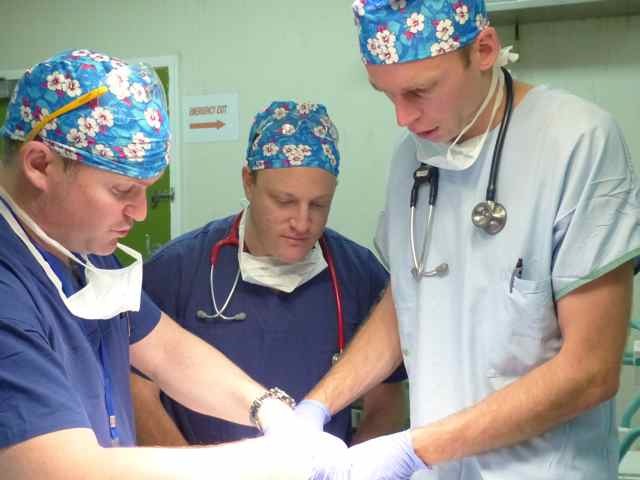 Arvin is still under examination this week by two of our anaesthetists, Matt and Darren. If he is successful in his exams he will be the first person worldwide to obtain “Master of Cardiac Anesthesia” qualification. Everyone at OHI are wishing him all the best.